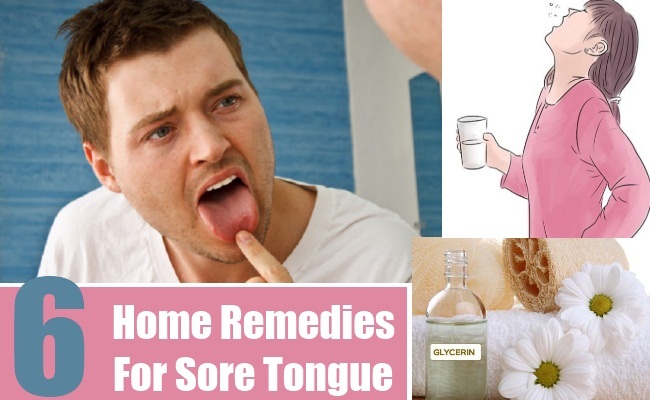 [toc]Almost once or twice, nearly everyone has suffered from sore tongue common symptom. Main cause behind this symptom is given to be vitamin-B complex deficiency. Other factors like smoking, drinking, hot food intake etc also contribute to this problem. Due to sore tongue, drinking and eating process becomes too painful.they turn red and bleed. However, these sores can be taken good care of by simple home remedies. Below given are the most effective home remedies for this symptom. 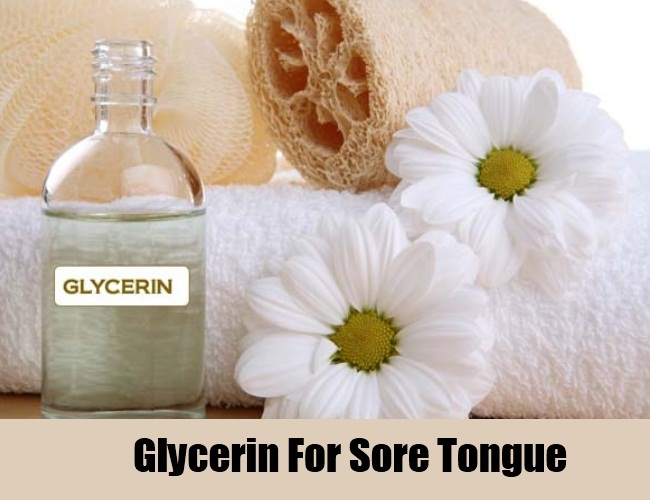 Glycerin is very effective in curing condition of sore tongue. Its application too is very much simple. A spoon of Glycerin needs to be taken and applied on tongue’s affected parts regularly. It doesn’t only helps to relieve the pain but also improves the overall condition of the tongue. Gargling can also be an easy way to cure sore tongue. A simple solution of water and salt works perfectly for this condition. By gargling with the solution regularly, the mouth gets completely cleansed of all the impurities. It in turn hastens process of curing. For positive effects, it is advised to gargle at least 4-5 times in a day. 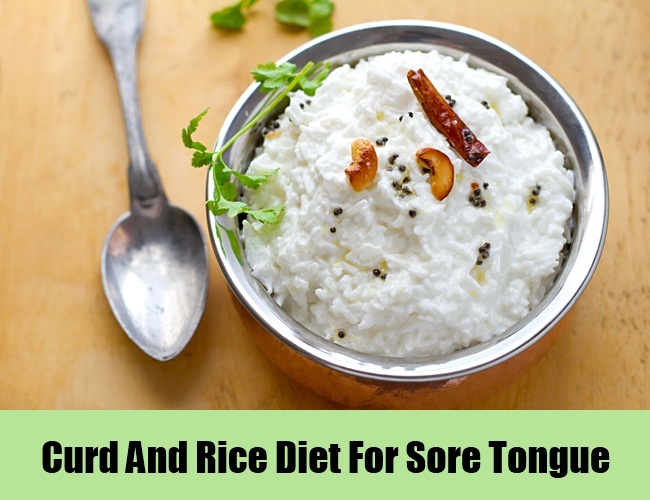 People have also found rice and curd to be extremely helpful in cases of tongue sores. Regular intake of it yields positive results. Curd gives the body all the necessary vitamins while alleviating burning sensation. Overall it provides relief in less time. A solution of warm milk along with a teaspoon of turmeric cures tongue sores very fast. One needs to have this milk daily twice. Turmeric here contains necessary antibiotics to help body fight any foreign material while milk gives essential nutrients that quickens healing process. 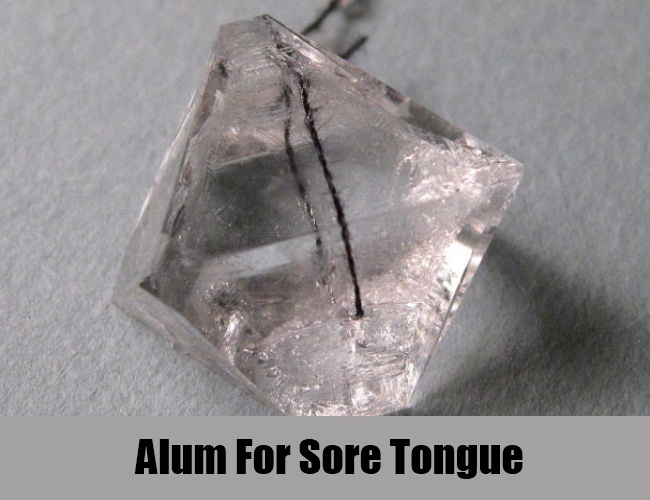 Usage of alum too helps a lot in curing tongue sores. For applying it, one first has to place alum’s chunk in frying pan. It is done in order to dehydrate this alum. When done, it needs to be crushed to obtain its powder and later mixed along with honey. When this paste gets ready, simply apply it on affected areas. Vitamin-C containing food such as broccoli, cranberry juice, red bell peppers, muskmelon etc need to be consumed daily in profusion. Orange intake helps a lot too. This treats these tongue sores as quickly as possible. While all these remedies do their best in treatment of sore tongues, one also needs to take few measures with them. With these measures, one does not worsen his/her already bad condition of mouth while also helping in their quick treatment. First measure is not to eat anything hot or spicy. These foods only aggravate tongue sores. Secondly, one also needs to avoid drinking alcohol and smoking. Tea and coffee intake should also be stopped if possible. Instead, one can switch to buttermilk for effective results and pain reduction.